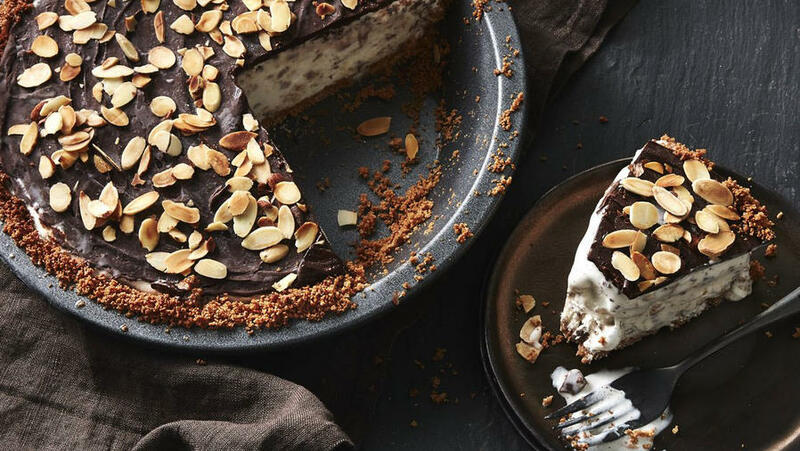 The interplay of crunchy, fudgy, and silky textures in this ultra-rich dessert makes it a splashy ending to a celebratory meal. 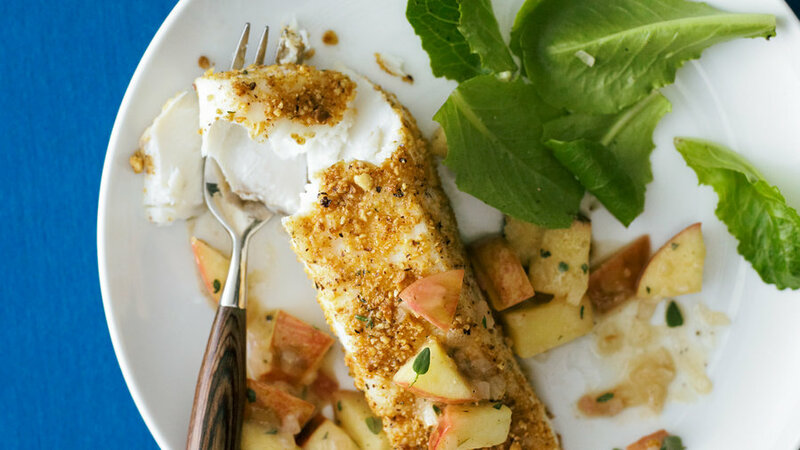 The crunch of the apples and nuts add nice texture and harmonious flavors to this halibut recipe. 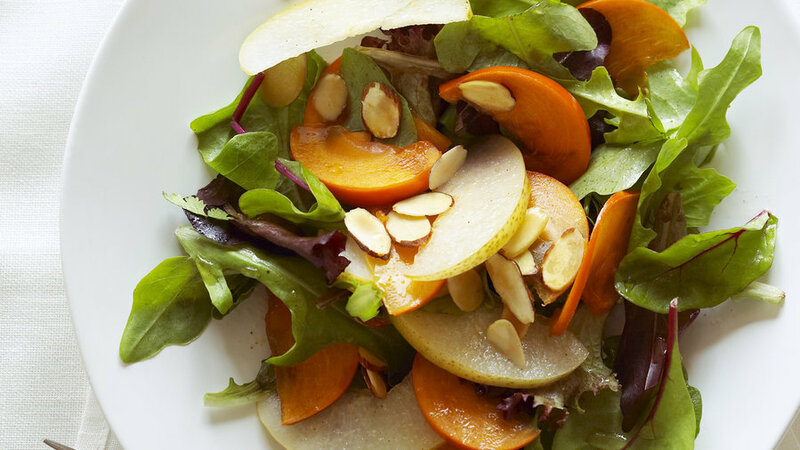 Deeply flavorful Blenheim apricots (tangier and sweeter than Turkish apricots) and stubby, rich Marcona almonds are worth using here, because in a recipe this simple, the flavors are really noticeable. 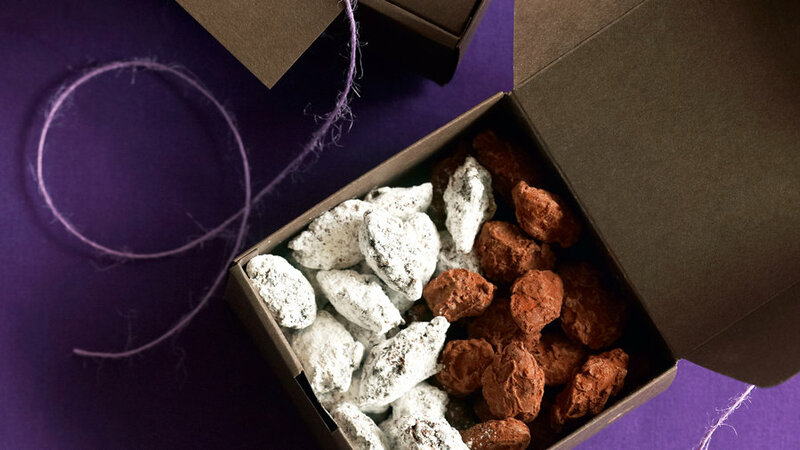 These addictive cookies—made with a buttery base and a caramelized topping—will carry you through the holiday season, from sweets for Thanksgiving dinner to an easy gift to whip up in December. 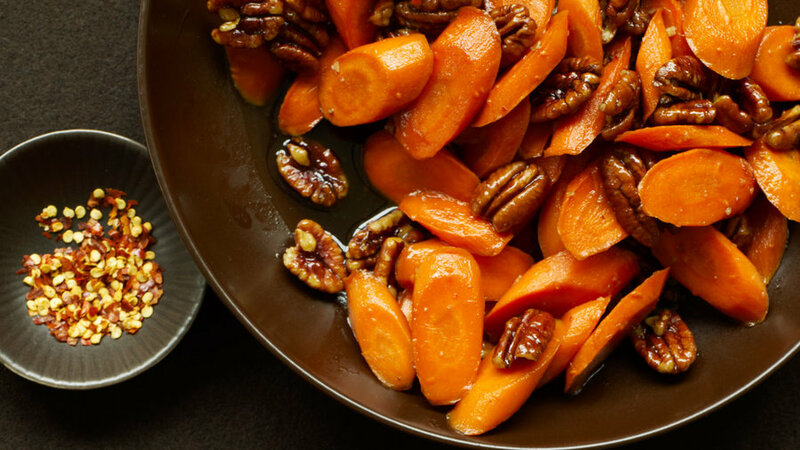 Sticky apricots and pomegranate seeds hold onto a blend of warm spices; when you stir them into your favorite cereal or yogurt, they flavor the whole bowl. 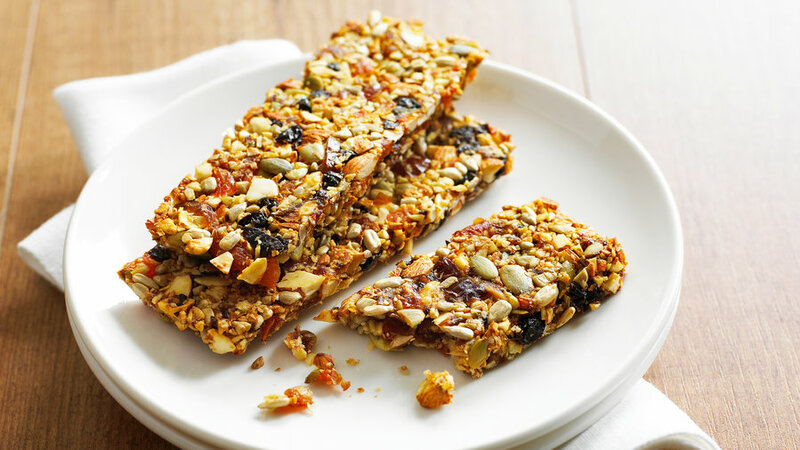 Make these breakfast bars on the weekend and get your daily serving of fruits and nuts right from the start each morning. 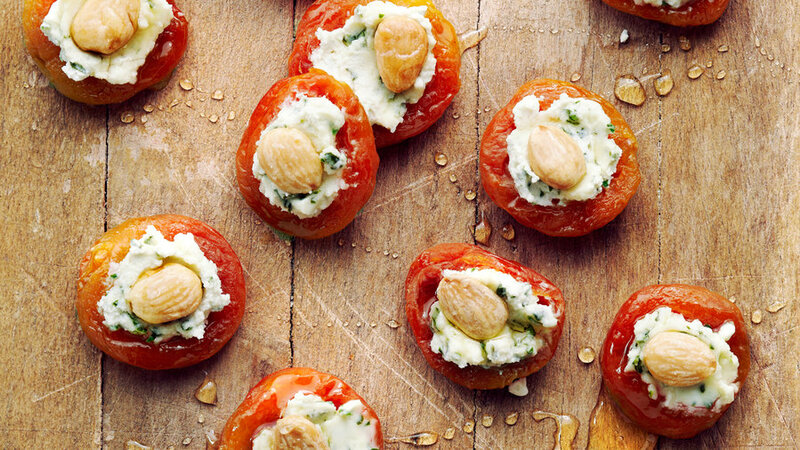 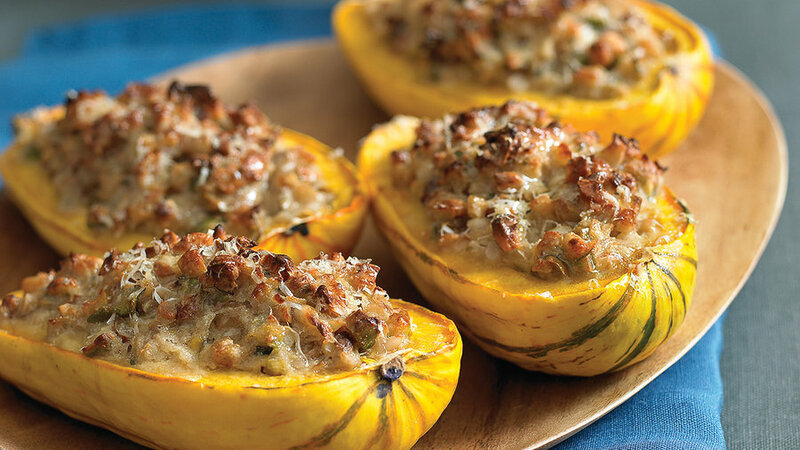 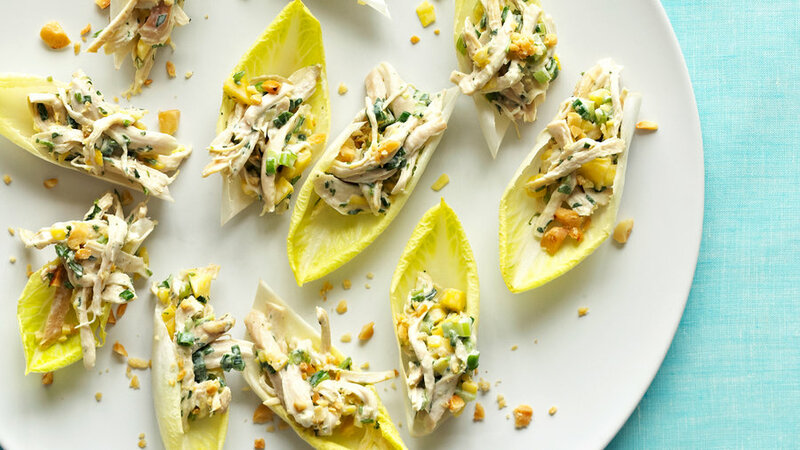 This tasy appetizer is a hit at parties. 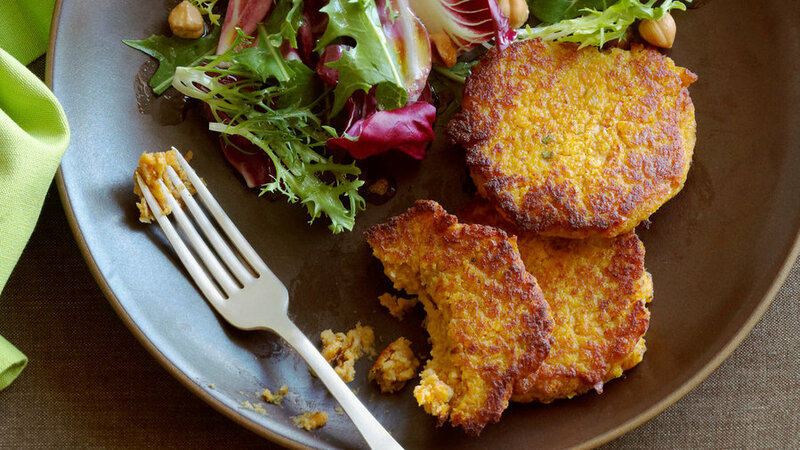 Who doesn't like chicken nuggets? 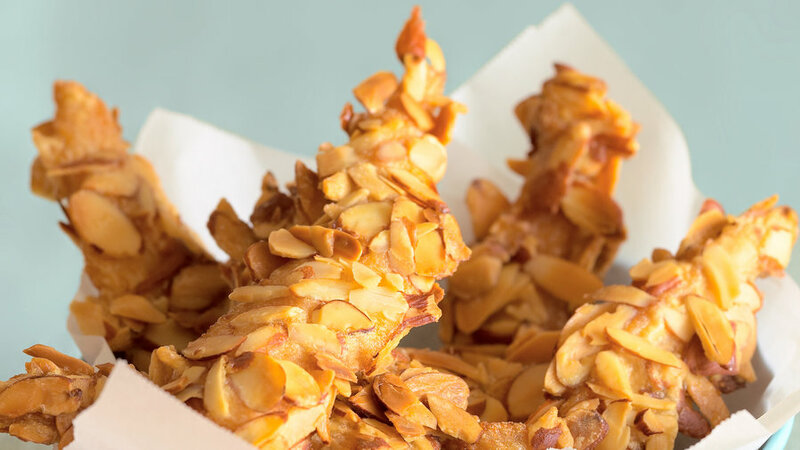 Now, you can have them without the guilt by using crunchy sliced almonds for the crispy crust. 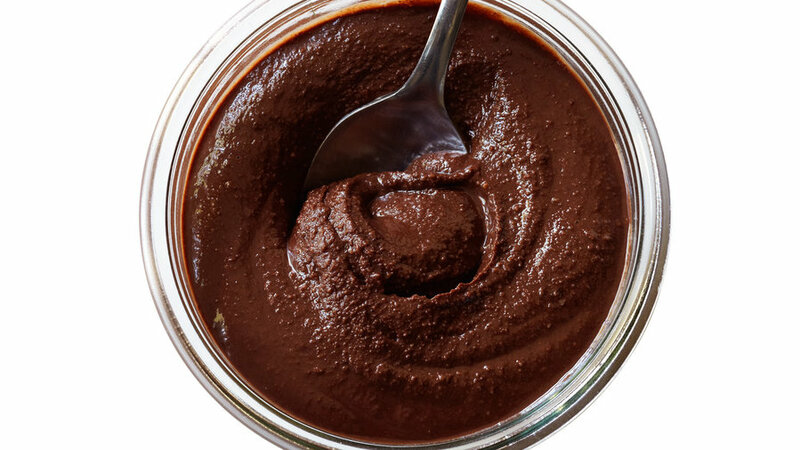 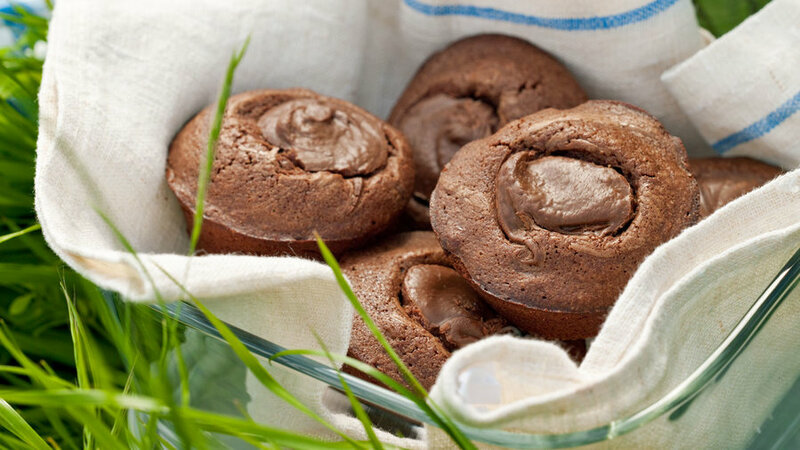 Our homemade version of Nutella takes just a few minutes to make and has a more intense chocolate flavor than the store-bought kind. 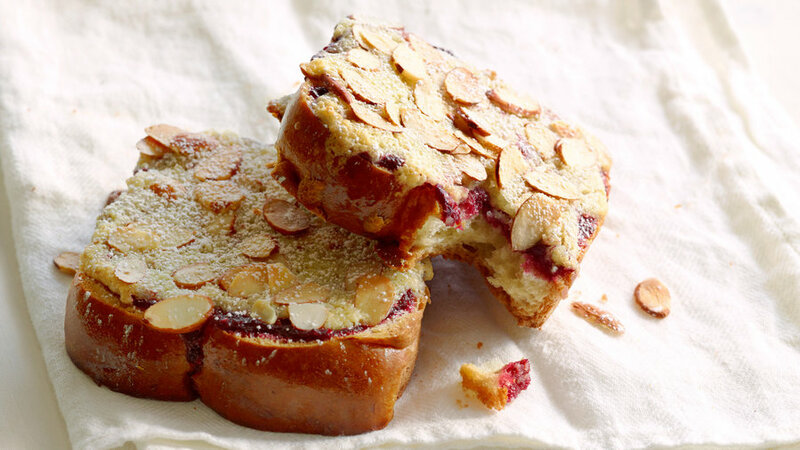 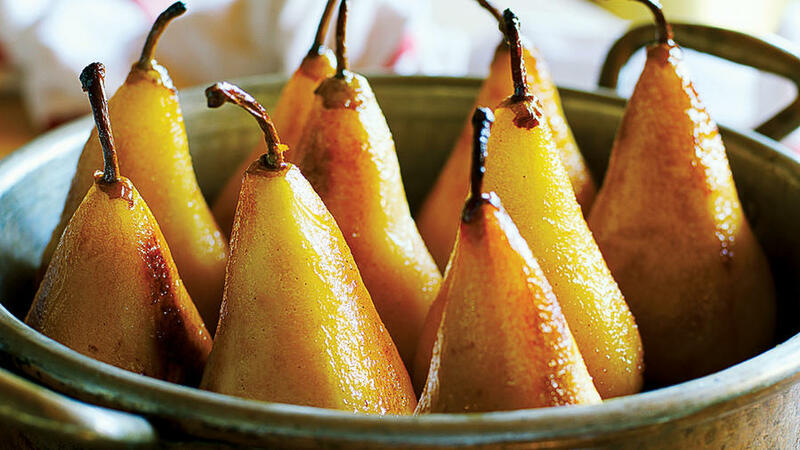 Try it in a tart, or slather it on toast. 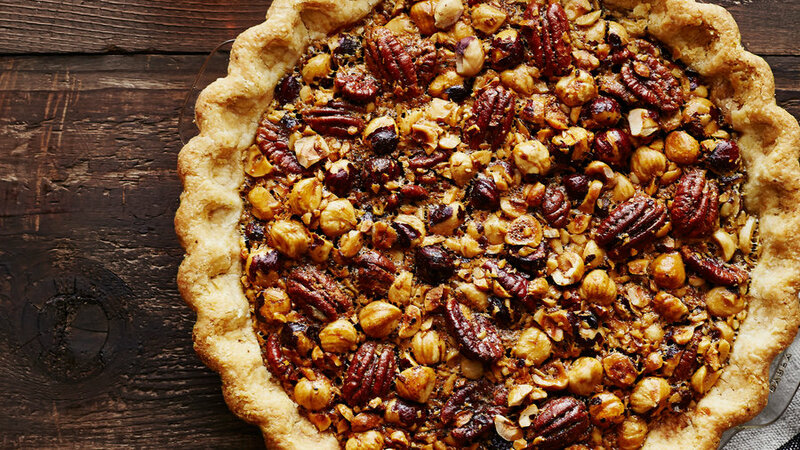 Reader Mary Watson sent us a recipe for a walnut quick bread that's so good, she serves it for dessert. 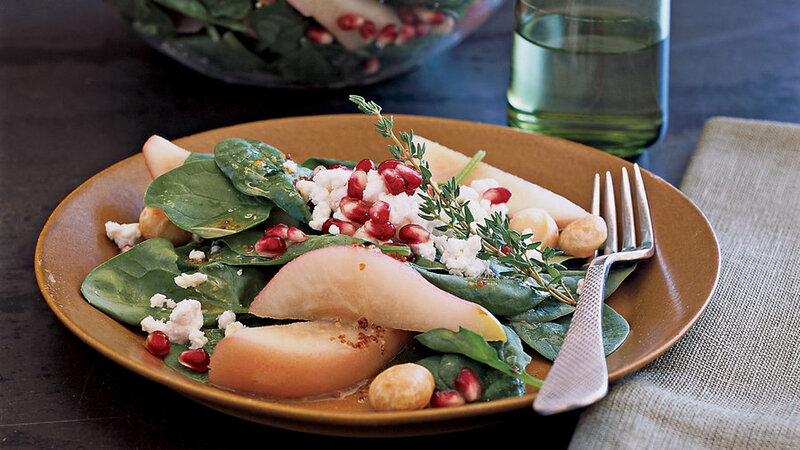 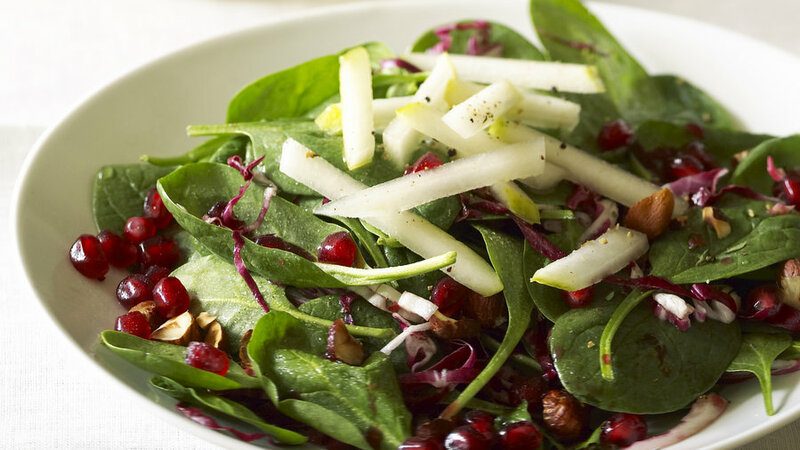 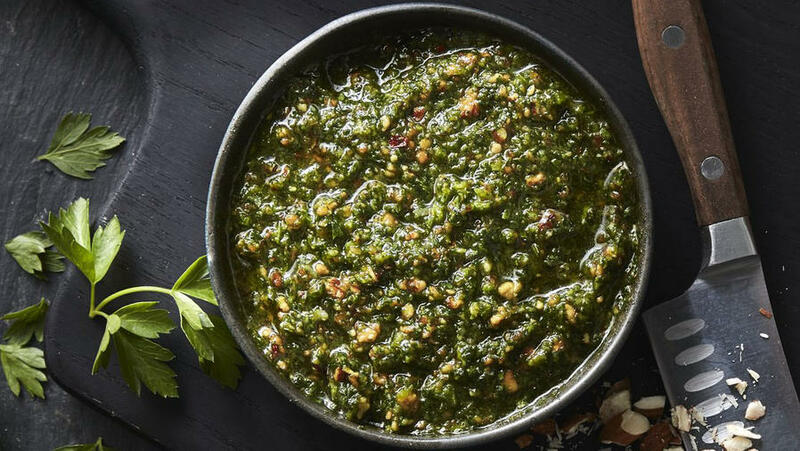 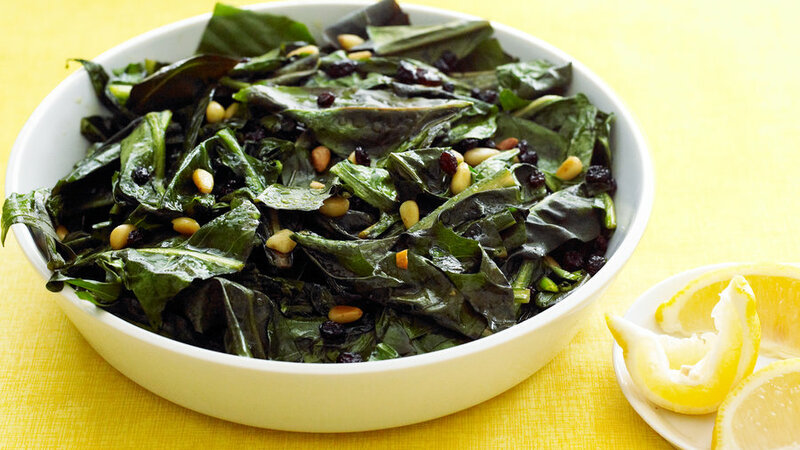 Dandelion greens are quite bitter, so the addition of creamy pine nuts and sweet currants is a great balance. 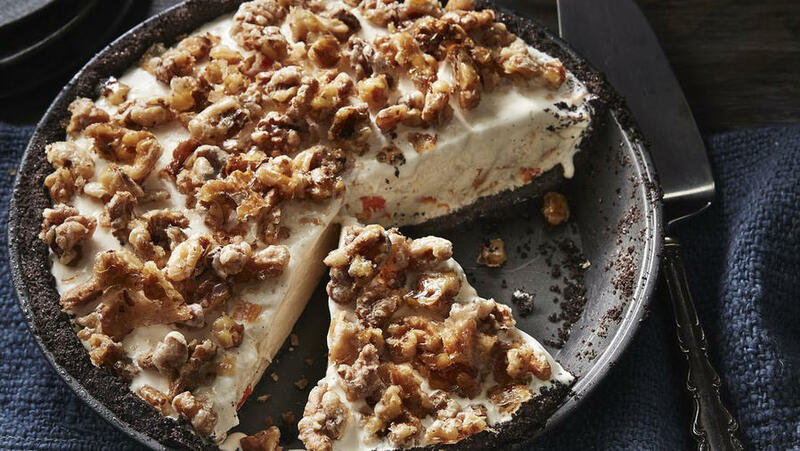 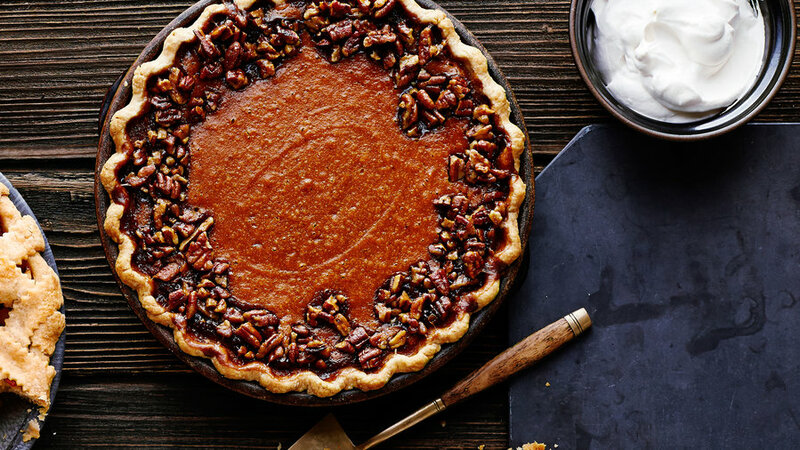 Chocolate is great on its own, but having a chunky nut crust compliments the creamy filling in a delicious way. 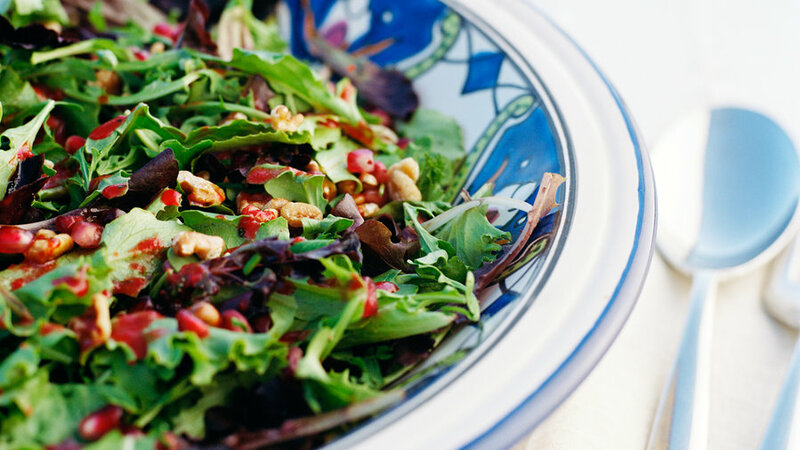 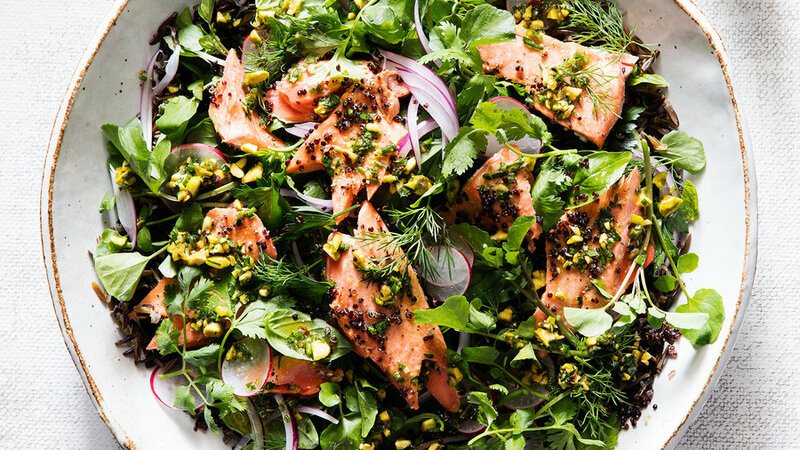 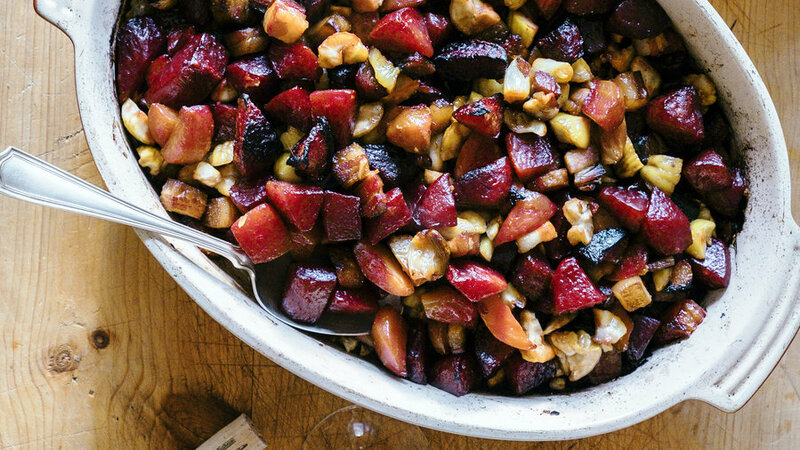 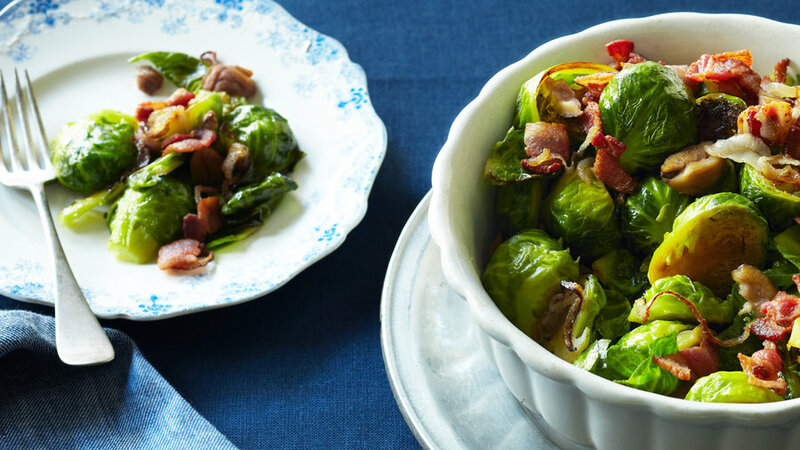 The spices in this salad are like those in French gingerbread, or pain d'épice. 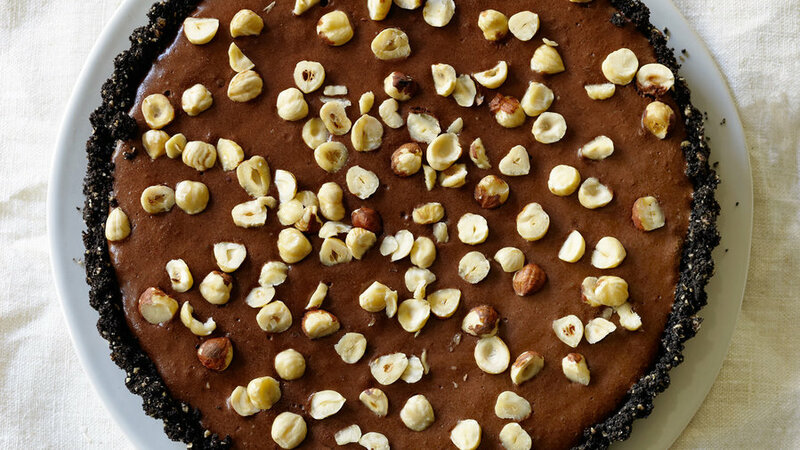 If you make it with walnut oil, use walnuts; if you make it with hazelnut oil, use hazelnuts. 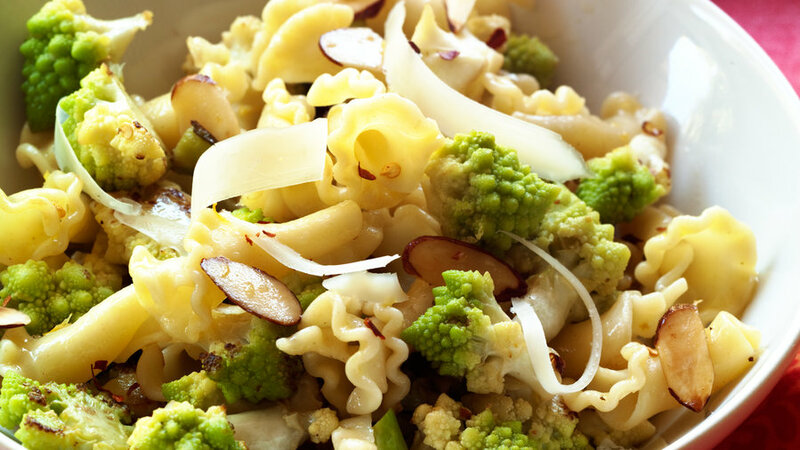 The nuts and veggies add nice crunchy--and healthy--elements to this pasta dinner. 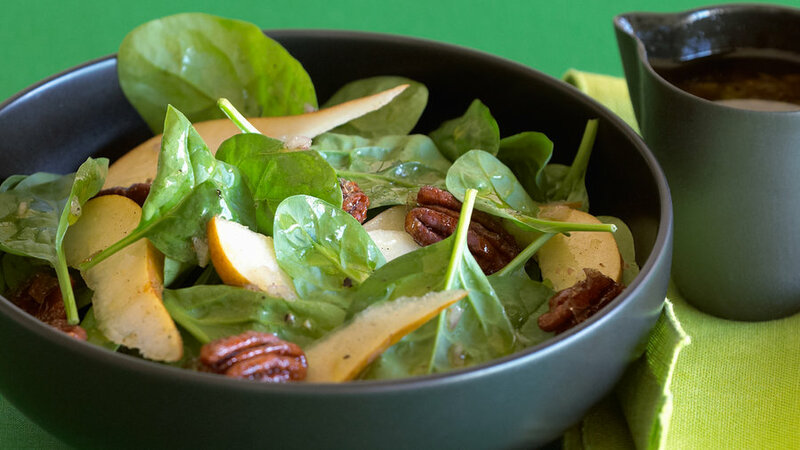 Try this fantastic cool-weather salad when you need a health fix and vegetables are not at their best. 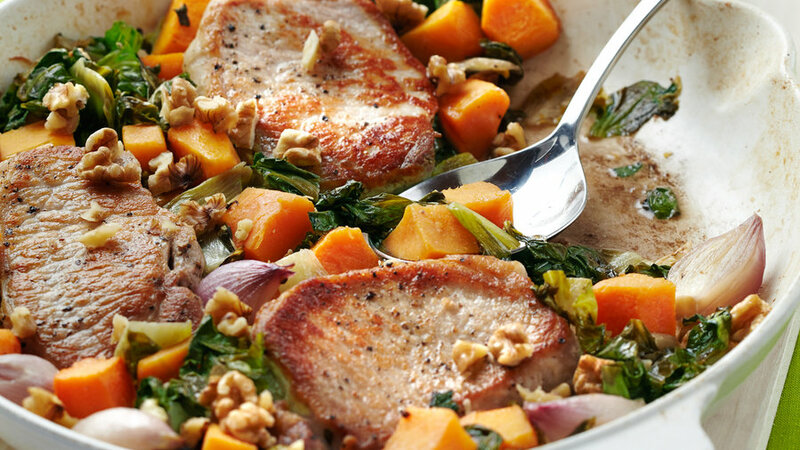 Have guests coming and need to whip up something tasty in a flash? 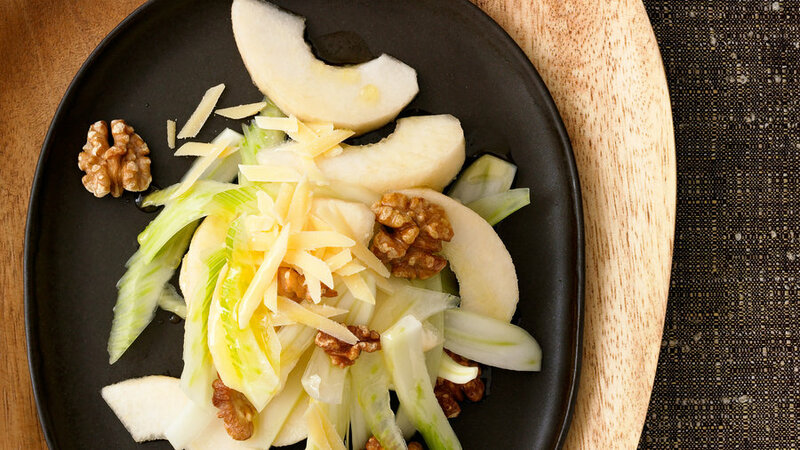 Try this delicious nut-based dip. 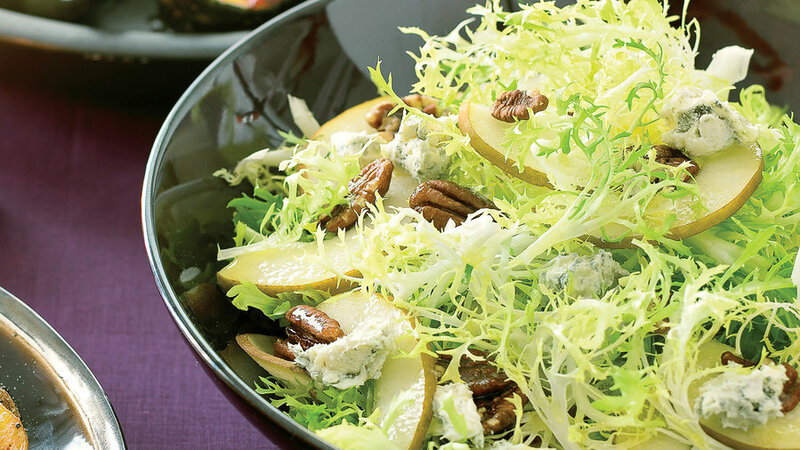 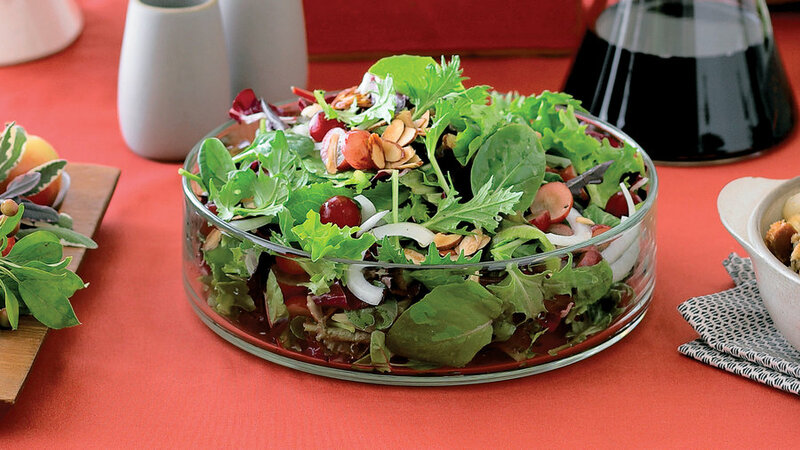 With juicy grapes and crunchy almonds, this salad is a refreshing first course. 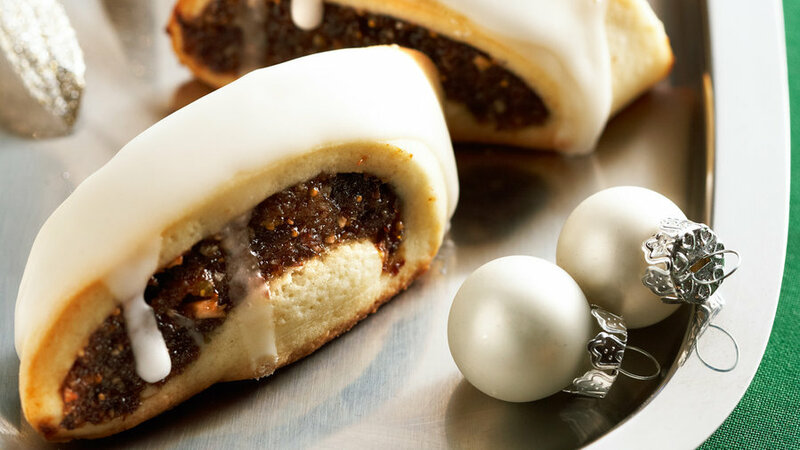 These easy bar cookies are lovely holiday treats--or delicious any time of year. 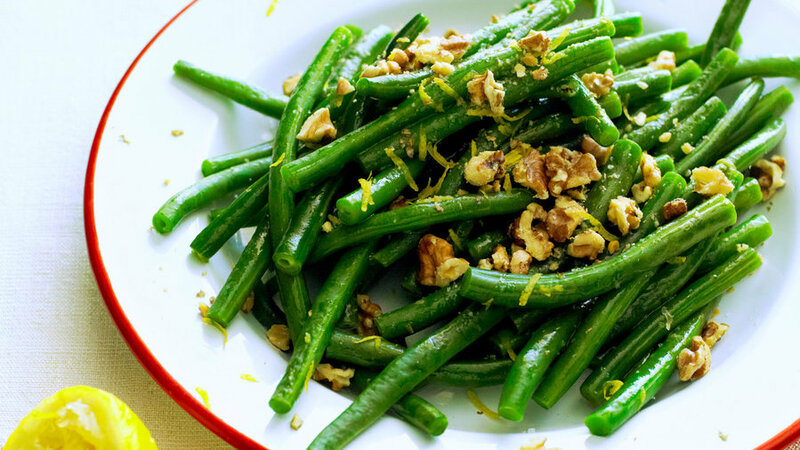 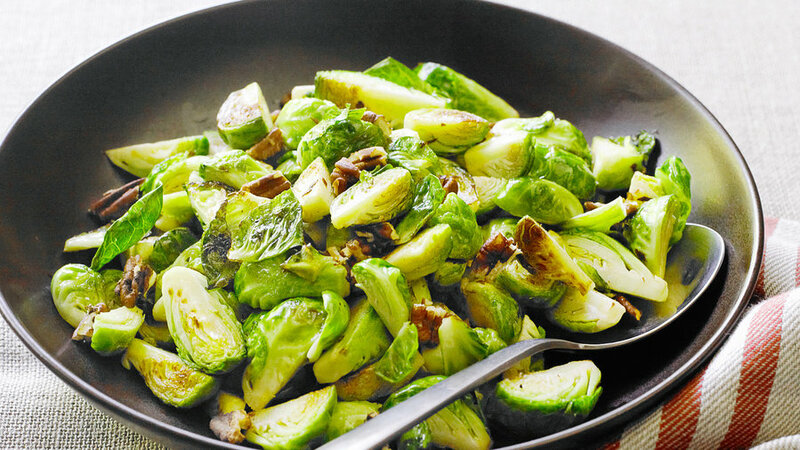 This simple side dish is a great way to use a summer staple in a flavorful way. 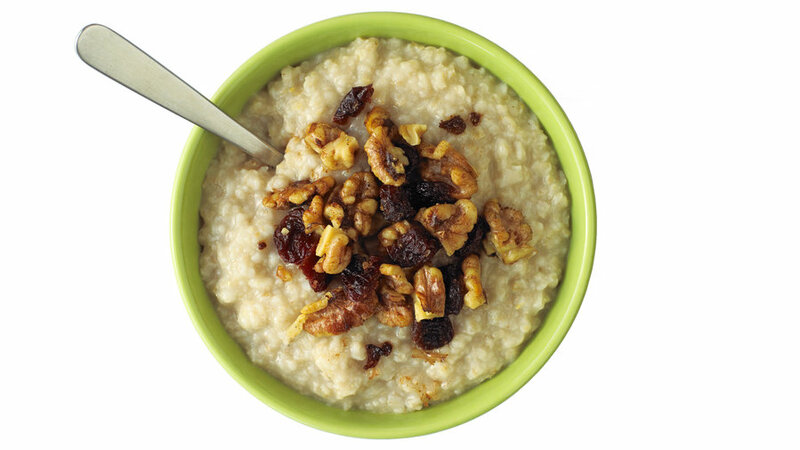 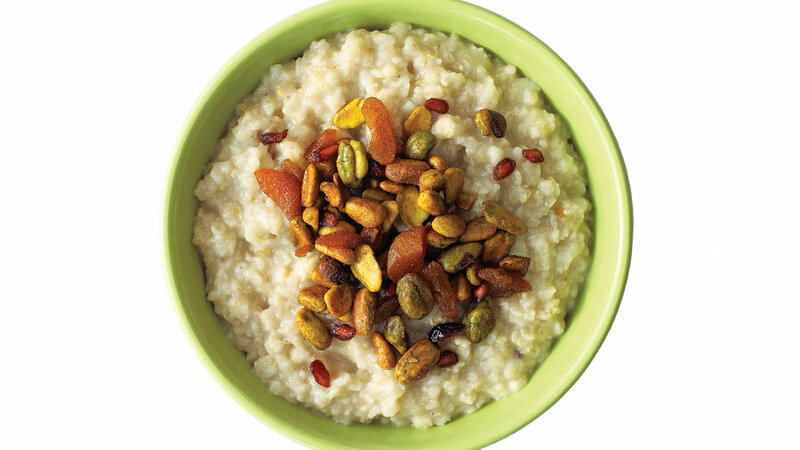 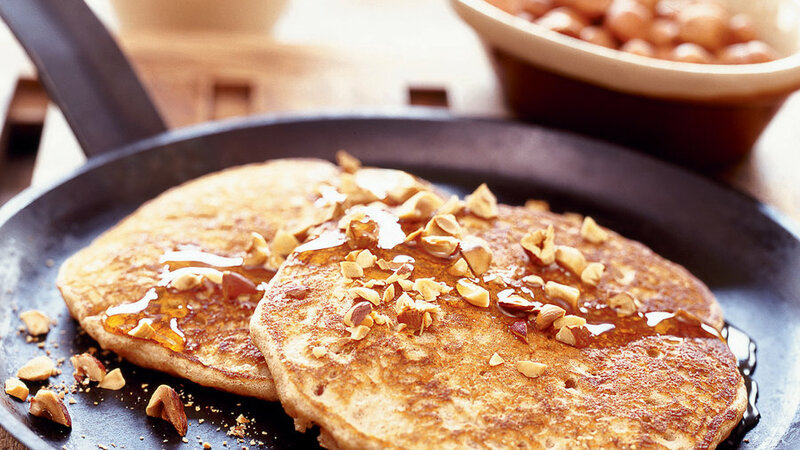 Give this breakfast staple a makeover with the addition of freshly toasted, aromatic hazelnuts. 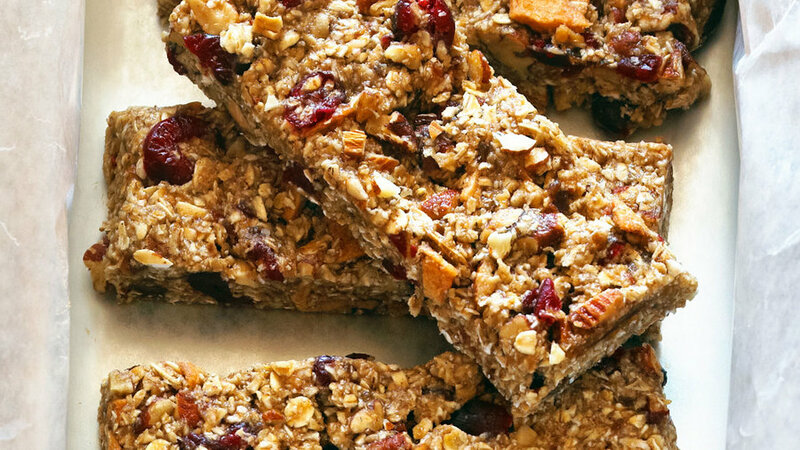 Make this flavorful fruit-and-nut mixture at the beginning of the week and sprinkle it on warm breakfast cereal or yogurt as needed. 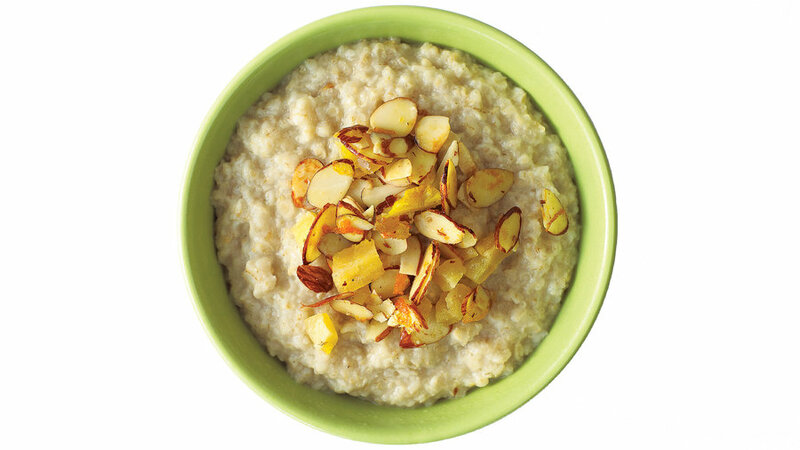 Crystallized ginger and ground ginger give extra kick to this morning flavor-lifter for hot cereal or yogurt. 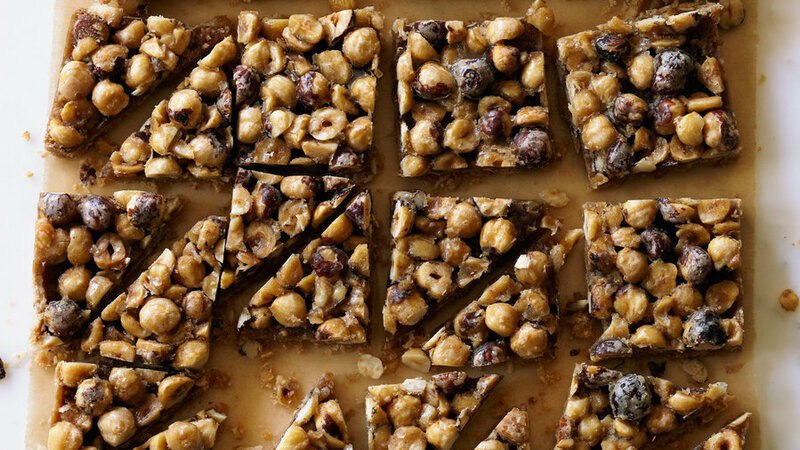 These sweet nut confections are totally indulgent, easy to make, great for gift-giving, and completely addictive. 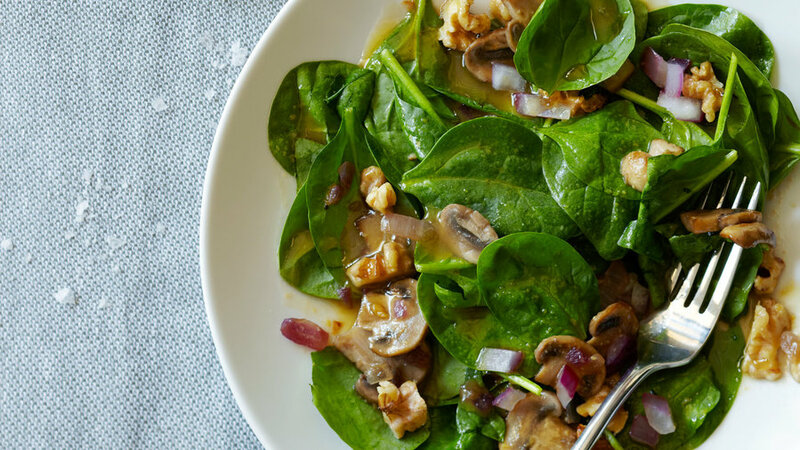 We love spinach salads. 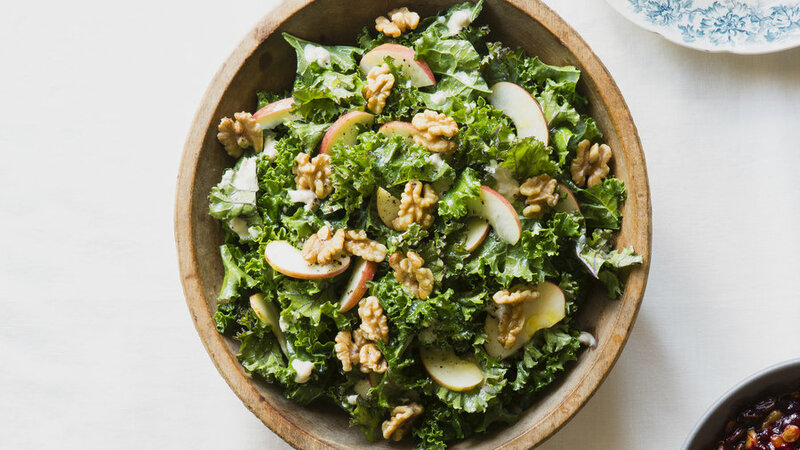 This one is dressed with honey, mustard, mirin, and walnut oil to create something unique. 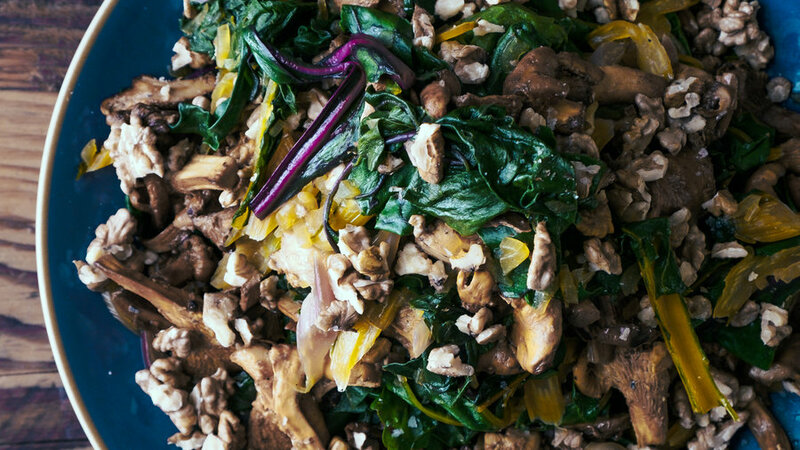 If you don’t have walnut oil, you can substitute another nut oil such, as almond or hazelnut, and switch the chopped nuts to match. 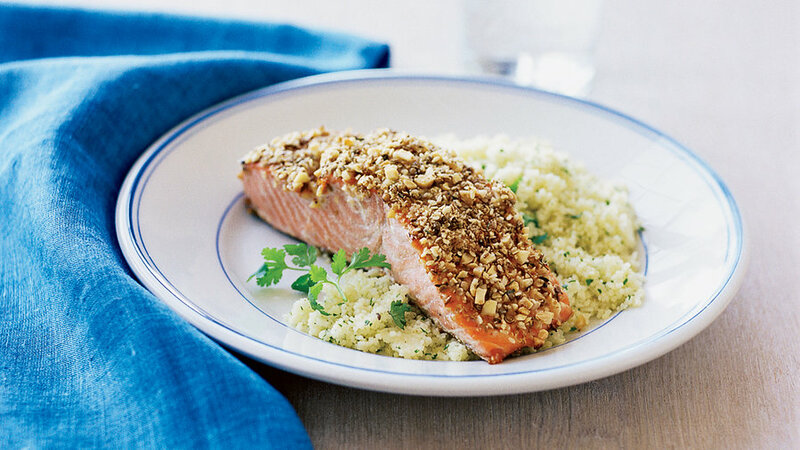 The crust on this salmon is similar to duqqa, a mix of spices, chopped nuts, and sometimes chickpeas used in Egyptian cooking.